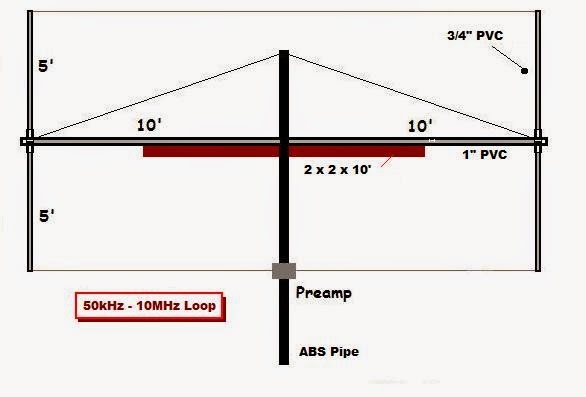 This article describe the design, construction, measurements and receiving experiences made with such “exotic”antenna that fully covers ELF – SLF – ULF – VLF - LF and part of the MF. 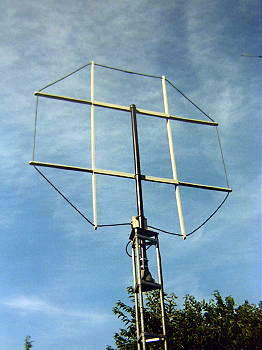 The new 'loop' is not really loop-shaped but is rectangular (10' x 20') and more like a Flag antenna shape. I considered a Flag but really don't need any back-end nulling capability since I'm mainly interested in listening to the east and to the north. This is a description of a broadband ( ~40kHz - 500kHz) shielded receiving loop and preamplifier suitable for low-noise LF reception. The preamplifier was originally developed by the late Ralph Burhans, a dedicated engineer and LF experimenter. The loop frame is made from 1/2" square hardwood strips that are 24" long. They are nailed together like a plus sign. Holes are drilled in each end of the arms to string the wire. In the antenna shown here, the wire is 11/36 Litz wire. My interest in tree antennas goes back many years, when I first read about some experiments using coils to couple RF energy to trees. Unfortunately, I neglected to save the article, and it was only much later that I was able to locate the source for the article. Recently I have been trying out a small active voltage probe antenna to aid reception on the LF bands. 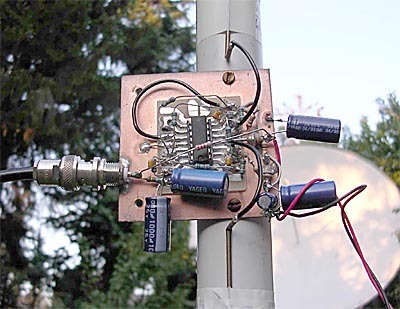 I used a PA0RDT designed active antenna to listen successfully to amateur signals on both 500kHz and 136kHz.